For some people, art is the perfect way to relax and unwind. For us, we're not entirely artistic - But we'll certainly take part if there's wine involved! Running from 6:30 - 8pm in the Karma Collab Hub in Miami, grab some friends and enjoy an evening of wine and painting, as local designer Belinda Gillies walks you through the steps of painting with alcoholic inks. You never know - You might just discover a hidden talent! One of our favourite times of the year is Easter, and that's because it's entire holiday dedicated to stuffing our faces full of chocolate and other sweet treats. For many restaurants and cafe's around the world, that also means creating plenty of unique Easter-themed treats for all of the adults to indulge in - And White Rhino in Surfers Paradise certainly doesn't disappoint! Creating one Easter Egg Mess, one Easter-themed shot and an incredible Easter-themed cocktail complete with chocolate eggs, you'll want to get down there while it's still available - And with plenty of incredible food to go around, you might as well stay a while! We have no shortage of cool beach-side bars on the Gold Coast, but let me tell you - Hyde Paradiso is on a whole other level. Coming to us all the way from the shores of LA (yes, you read that right - America! ), Hyde Paradiso is the hottest new beach-side bar to open on the Coast, situated directly opposite Main Beach and providing the ultimate Gold Coast views. Opening from 7am until midnight every day of the week, Hyde's menu will have you covered for every meal of the day, serving up everything from Baby Octopus to Arancini to perectly compliment their specialty wine and cocktail list. 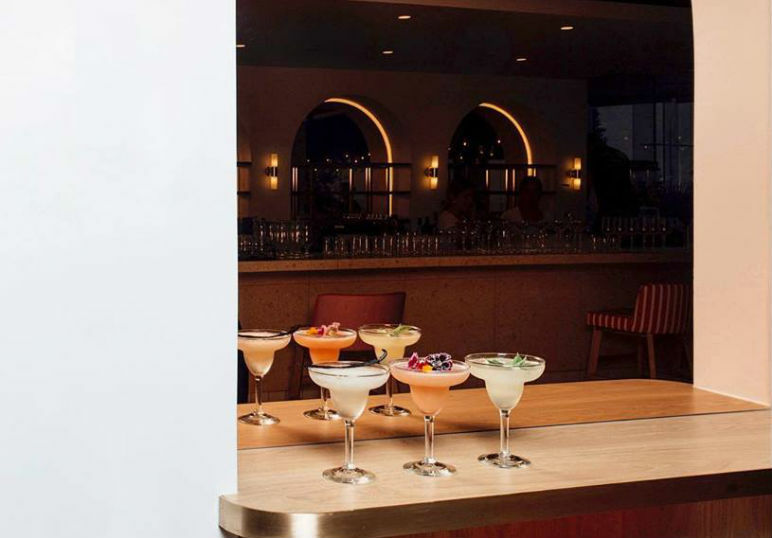 Artfully created by Australia's best mixologist, you and your gal pals can sip on cocktails like the Hyde Seaside, The Frozini, Plantlife Spritz or the Salted Coconut Margarita, all while enjoying perfect views of Main Beach - So dress to impress, head on out and go check out the hottest new bar on the Coast! We're always huge fans of restaurants that bring out new treats right in time for Easter - So of course we were pleased when The Bavarian told us that they're bringing out this ah-MAZING Easter treat for the Easter weekend! A cross between a pretzel and a doughnut, this delicious treat is perfect for anyone wanting something a little different this Easter, served with chocolate dipping sauce and Easter eggs for a seriously tasty snack! Priced at $11, it's perfect for sharing with a friend - But who are we kidding, you'll want something this good all to yourself!